We’ve all been expecting this; the fact that Albert’s coming out with his second solo album. That’s like back to back of really hard work. The other guys are like, ‘How the hell does he do it?’ Nothing but a little drive of passion, and a lot of self-respect, keeps you going every time. 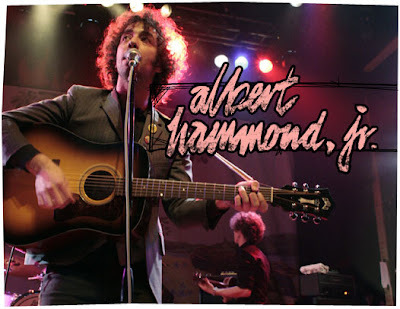 The announcement of his upcoming second album was at the end of last month on his MySpace blog and some footage of studio recordings and snippets of the new songs was going to be posted on Albert’s MySpace page. I’m actually looking forward to how the whole album’s gonna sound like and in what new direction will he take his song-writing skills to; less poppy, more Strokes-sey? We’ll just have to wait and see.